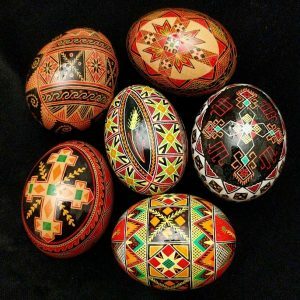 Please join us as we welcome Carol Purse, who will share the history behind the making of pysanky (Ukranian Easter Eggs), how dyes were created from natural items as opposed to the dyes of today, the meaning of pagan and Christian symbols that appear on the eggs, and some of the superstitions and legends surrounding pysanky. 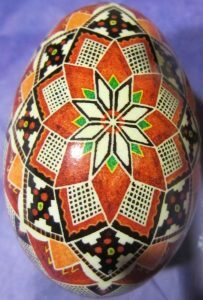 Attendees will be able to write a few lines on raw eggs to get a feel for how wax is applied to create the colorful art of pysanky. Registration is required. Please register through our calendar, call 302-736-7030, or stop by the Reference Desk on the 2nd floor. This program is for adults and children ages 8+. Children must be accompanied by an adult.